The Dubai water canal project, which will link Business Bay with the Arabian Gulf, is 64 per cent complete. This was highlighted by the Roads and Transport Authority (RTA) during the backdrop of the Dubai International Government Achievements Exhibition. “Sixty-four per cent of the work has been complete,” informed Moaza Al Marri, Director of Marketing & Corporate Communication, RTA’s Corporate Administrative Support Services Sector. The Sheikh Zayed Road Bridge, she added, is dotted with smart lights. 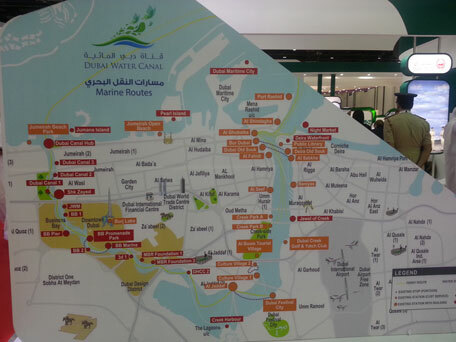 The RTA unveiled a map showing how the project will look once completed.